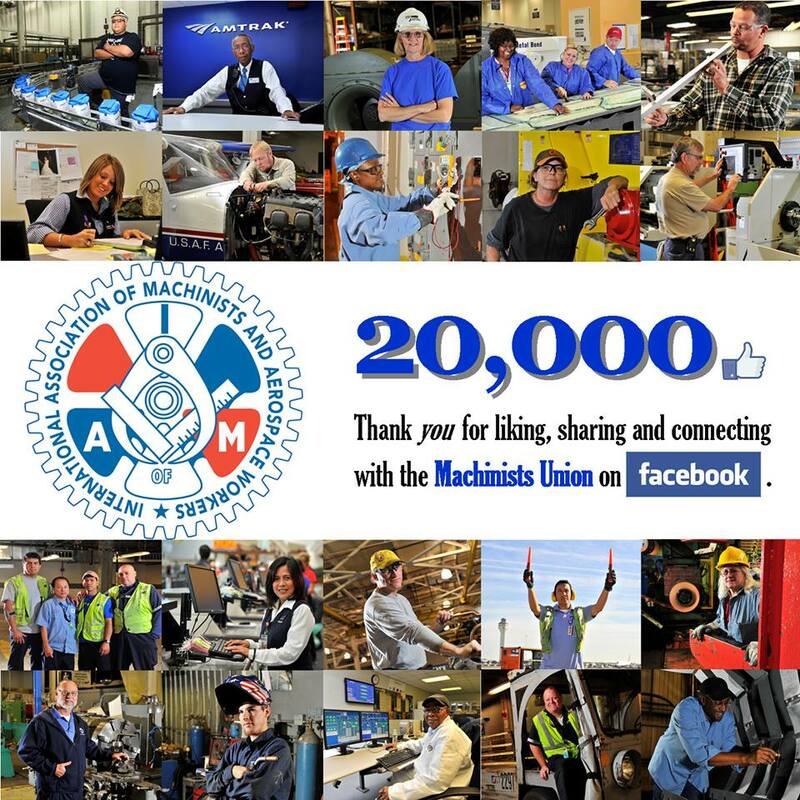 The IAM is proud to announce that the Machinists Union has reached 20,000 “likes” on Facebook. The page acts as a forum for IAM members and others to stay up-to-date with the latest union news, developments and action alerts. It is updated every day with thought-provoking articles from around the labor movement. – The cities that have liked our page the most are Chicago, New York, Seattle, Los Angeles and Washington, D.C., in that order. Click here to visit the IAM Facebook page. Start following us by clicking the “Like” icon on the top-right portion of the page.